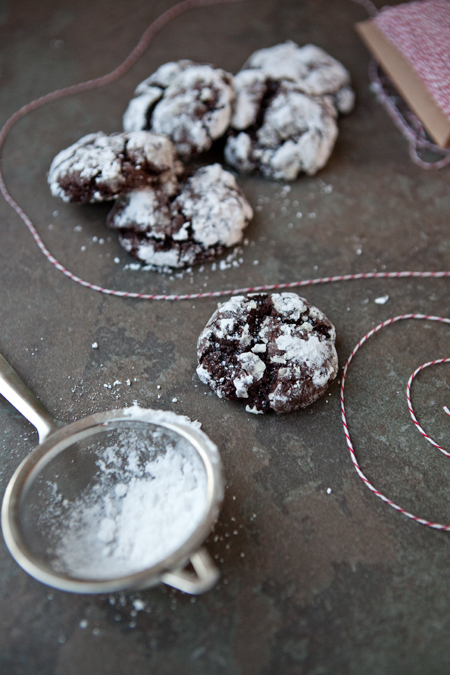 A little something to keep your hands free and clear for baking up holiday treats this season. 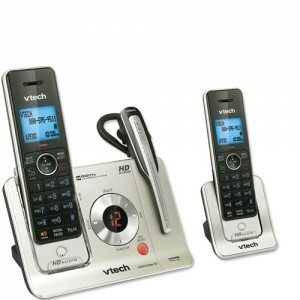 A VTech Multi-Tasking Phone System giveaway for you. I consider myself to be a fairly adept at multitasking. I do it often, for otherwise I may never accomplish the things that need to be done on a daily basis. In fact, often I still fail. Right now I am babysitting a cake in the oven, cookies need to be photographed, I have writing deadlines breathing down my back. If I turn slightly to my left, I see my 3-year-old pushing wooden trains around tracks I built, tracks he will break just so that I will come and build them again. Soon, he’ll be whisked off to dreamland so that I can attempt to both manage a conference call for a creative team I’m working with and juggle the cookies and cake. At 3:30p my house will fill with the sounds of children. Backpacks will be tossed on the floor, no matter how many times I ask them to use the hooks that were drilled into plaster walls just for that purpose. Folders, sheets of paper and books will be shuffled on the dining room table, as dinner is prepared and dishes done. My hands are often full, my mind racing, split in two and working on more than what’s in front of me. While this is the norm for me, Christmas always means a slight increase in the crazy everyday, and so while I chat with my sister about the gifts for my mom and field yet another question from my mom and aunts as they’re out shopping, I find it more important to keep my hands busy while I talk. In that same vein and in keeping with the holidays, I imagine that we could all use a phone that leaves hands free to mix, roll and bake as we manage to catch up with loved ones, plan holiday parties and Christmas potlucks. So, rather than stress about doing this and that and everything else all at the same time, let your phone do a bit of work for you, whether it’ sanswering your calls, letting you know who called or just being ready to go whenever you are. 1. Leave a comment. How can a hands-free phone system help you multitask? 3. Join the Food for My Family community on Facebook. Come back and leave a comment letting me know you did so. If you already do, THANK YOU. Just let me know. 4. Join the Vtech community on Facebook. Come back and leave a comment letting me know you did so. This giveaway will run until Thursday, December 15th at 11:59 p.m. ET and is open to all U.S. residents. A winner will be chosen at random usingRandom.org from all eligible entries. Each reader has 4 chances to win by completing the above tasks and leaving a separate comment for each entry method completed. Chosen winner must respond within 48 hours of notification to claim their prize. Good luck! This giveaway is sponsored by VTech. Tips, opinions and random thoughts are 100% mine. Originally published on 2011-12-08 at http://foodformyfamily.com/the-kitchen-sink/news-giveaway/keep-your-hands-free-for-holiday-baking-a-giveaway-2 .